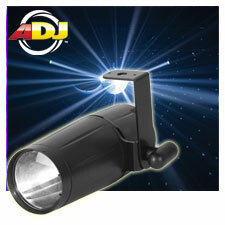 High output LED pinspot with 1 x 3W White LED and low power consumption. 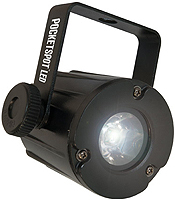 It's a pocket-sized LED pin spot powered by one single, powerful 4-watt white LED. 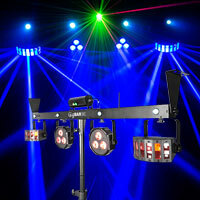 123DJ pin spots create a large beam of light to show a clear focus during stage performances, night parties, and much more to create Halloween effects. 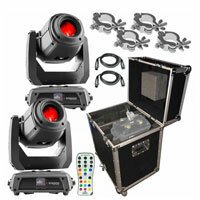 Get the leading maker,s product at a much lesser price than originally listed. 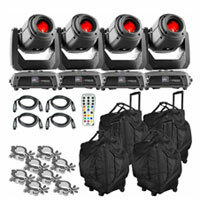 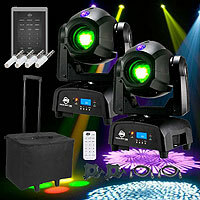 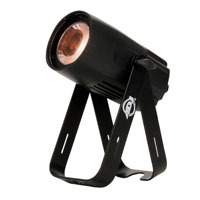 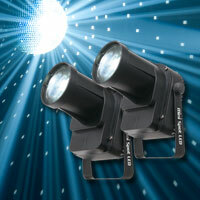 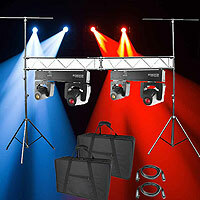 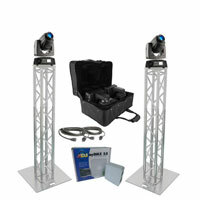 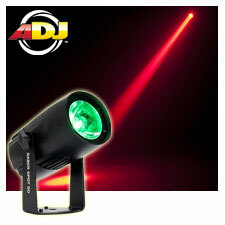 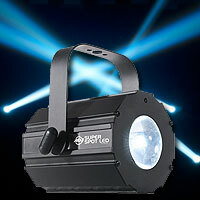 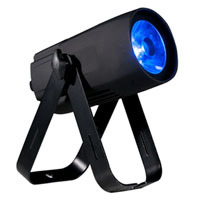 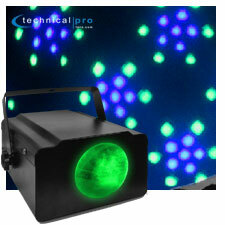 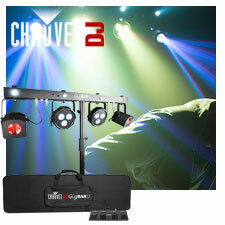 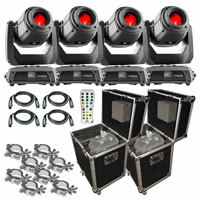 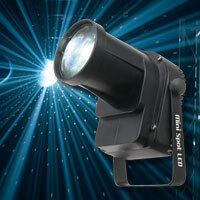 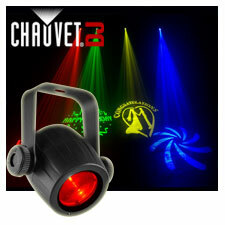 Chauvet EZpin Pack creates an effective lighting effect, and is one of the fastest moving pinspots on the market. 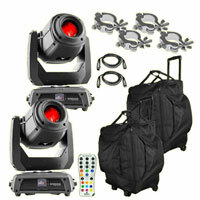 Pin Spots packs six fixtures and an IRC-6 remote into an easily transportable VIP Gear Bag. 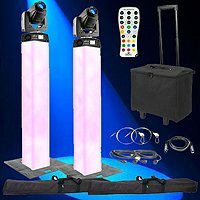 You can use multiple packages together for easy expansion. 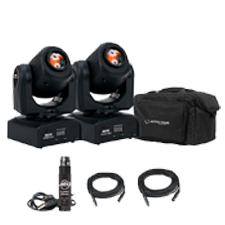 Another remarkable performer is American DJ Pinspot LED RC that illuminates with a bright 3W white LED with a beam angle of 12-degree. 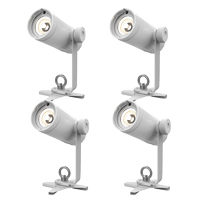 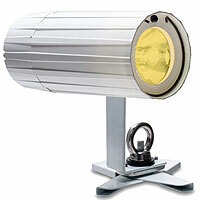 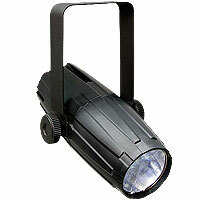 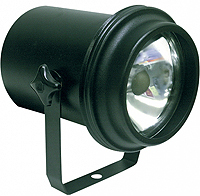 The LED allows a long term use of about 50000 continuous hours. 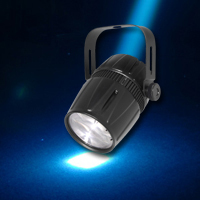 The output is produced with less emission of heat consuming less power. 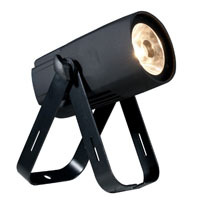 It includes hanging plate for mounting or may be set upright.